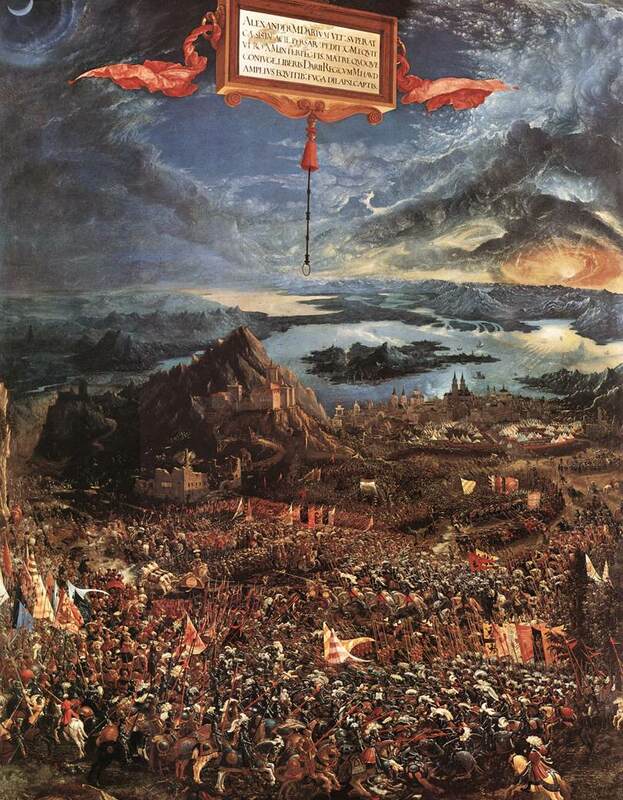 German painter and graphic artist working in Regensburg, of which town he was a citizen from 1505 onwards, the leading artist, the guiding spirit of the so-called Danube School. His training is unknown, but his early work was influenced by Cranach and Drer s art too was known to him through the woodcuts and engravings. 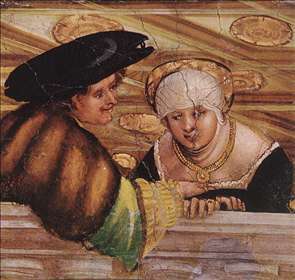 Mingled with these German impresions was a knowledge of the art of Mantegna, perhaps through the mediation of Michael Pacher. 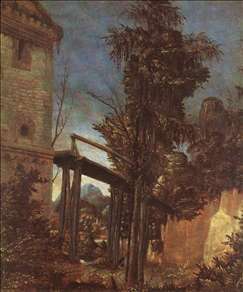 Yet in spite of these varied influences Altdorfer s style always remained personal. Most of his paintings are religious works, but he was one of the first artists to show an interest in landscape as an independent genre. He was the first European to paint forests, sunsets, and picturesque ruins, in which he represented man as part of nature, allied with trees, rocks, mountains, and clouds and often resembling them. 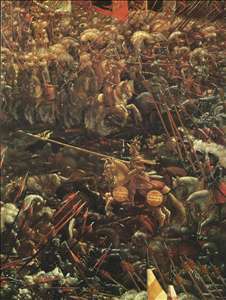 In works such as the altar for St Florian near Linz (1518) or the Christ Taking Leave of His Mother (National Gallery, London) he achieved a wonderful unity of mood between action and landscape, and two pure landscape paintings (without any figures) by him are known ( National Gallery, London, and Alte Pinakothek, Munich). 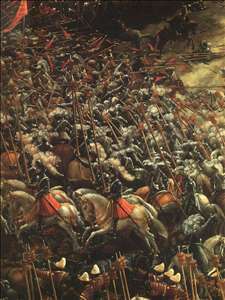 His patrons included the emperor Maximilian and Louis X, Duke of Bavaria, for whom he painted the celebrated Battle of Issos (Alte Pinakothek, Munich, 1529), which formed part of a large series of famous battle-pieces from Classical antiquity. 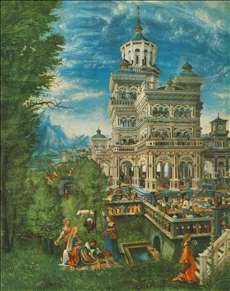 With its dazzling light effects, teeming figures, and brilliant colours, it is one of the finest examples of Altdorfer s rich imaginative powers. The fantastic element that pervaded his paintings was also prominent in his drawings, most of which were done with black and white lines on brown or blue-gray paper. His engravings and woodcuts, usually miniatures, were distinguished by their playful imaginativeness, the most important being 40 plates entitled The Fall and Redemption of Man. In 1530 he began using the new medium of etching to produce nine landscapes and a series of fanciful tankards intended as work models for goldsmiths. 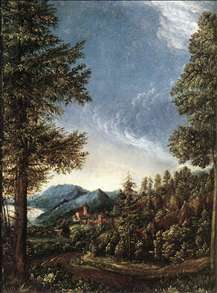 From 1526 until his death Altdorfer was employed as town architect of Regensburg. 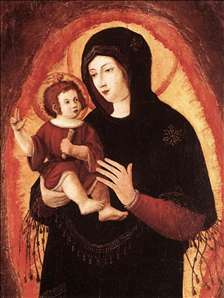 No architectural work by him is known, but his interest in architecture and his skill in handling intricate problems of perspective are demonstrated by his Birth of the Virgin (Alte Pinakothek, Munich). 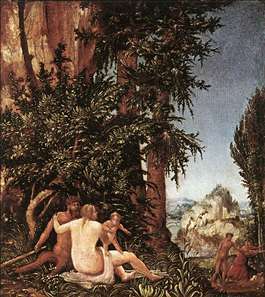 See more details about "Landscape with Satyr Family"
See more details about ""Schöne Maria""
See more details about "Landscape with Path"
See more details about "Danubian Landscape"
See more details about "Susanna in the Bath and the Stoning of the Elders"
See more details about "The Battle of Alexander"
See more details about "The Battle of Alexander "
See more details about "Lovers"
See more details about "Loth and his Daughters"